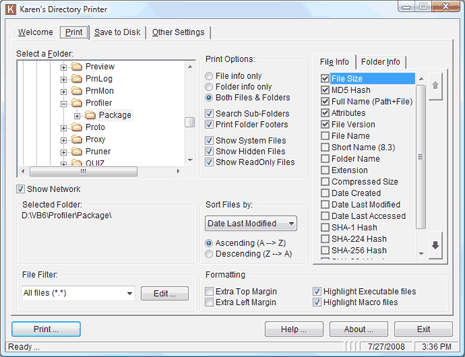 Beside printing usual documents, sometimes we need to printer folder contents and file details. One tiring and time consuming way is to manually type folder contents in a word file and then print it. Karens Directory printer program makes this all easy and very quick for printing information about your files and folders. How to keep track of printer usage & printed pages ?